Be trustworthy: this means that all of your facts add up and you have presented your material accurately, e.g., included a work cited, shared your qualifications, and included original pictures that demonstrate your expertise. Write in a fluid and consistent manner: all text must be intelligently written yet easy to read. Articles should have grammatically correct, declarative sentences; be written in the present tense; have paragraphs that flow and are properly structured; if possible, be written in the third person (but include some first person anecdotal evidence); and should avoid overly simplified information that can be found elsewhere on the web. Create interesting, thoughtful, engaging articles: grab your readers attention and educate them on your topic in a new, meaningful way. Only link to sites that will be useful to your reader and that are directly related to your article. Only link to sites that are high quality and reputable. We recommend integrating useful links into the content of your article in the Text Capsule as anchor text rather than in a large block. If you do include a Link Capsule, leave detailed descriptions for each link on why you recommend the link. Ask yourself, if this link gave me no personal benefit, would I still link to it. Avoid affiliate links other than Amazon. Your article may lose its Featured status for not following all of the guidelines above. Why do you link in your article? Always capitalize the first word of a title or subtitle. Capitalize all “major” words (nouns, verbs, adjectives, adverbs, and pronouns) in your title, including the second part of hyphenated major words (e.g., High-Quality not High-quality). Here are a few great sites that offer photos that you can use on HubPages. Be sure to read each image's license for specific licensing information, e.g., non-commercial images cannot be used on HubPages because your articles generate revenue. 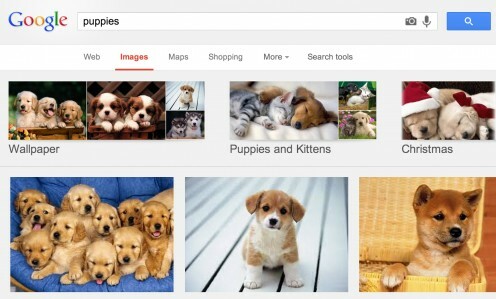 Google Images: Don't Use Them! Google images are not legal-use images! Google aggregates images from across the web just like webpages, it doesn't own or have the authority to assign copyright information. Just like we don't like our written work stolen, photographers don't want their images stolen. Be a good net citizen and only use original or legally used photos! If including a product in your article will be extremely beneficial to your reader, then go ahead and include it. Only include products that are either directly mentioned in your article or that are closely related to your content. Try to avoid content that is related but not useful, e.g., if you are writing a fabulous article about the best chickens for an urban farm, humorous products about chickens probably aren't useful, but a book about raising chickens or your favorite chicken coop might be. Only include one product per product capsule. Write custom descriptions for all of your products telling your reader your opinion of the product. Select a specific product when using Amazon instead of using the keyword search. Less is more in terms of how we are evaluating your article for quality, so including one useful product is preferable to 3 or more products. Lastly, don't feel like every article should have a product. If you are interested in earning from your article, it might be in your best interest to not include products. Avoid adding your own copyright information (see below) or "Protected by Copyscape" images. While image dividers or borders may be a creative addition to your article, we recommend not including them. Dividers tend to create an inconsistent design and they may not be compliant with site design changes in the future. Double and triple check your article and, if possible, have a friend proofread it for you. If English is your second language, it is incredibly important to have a native English speaker proofread your article. Even minor grammar errors can hurt an article's chance of success. If possible, use Microsoft Word or another text document that automatically checks your work for grammar and spelling errors. Use the HubPages spell checker for your last double check. You can check your spelling by clicking the ABC button while editing your Text Capsule. From a design standpoint, the numerous styles of copyright notices contribute to an inconsistent experience for HubPages visitors. And because these copyright notices are created using Text Capsules, unneeded complexity is added to the structure and design of each article. If you do want to place a notice on some of your Hubs, we've created a standard notice that you can enable on each Hub. To do this, navigate to the Display Options section of the HubTool and turn the copyright notice On. Please also delete any capsules which contain custom notices or "Protected by Copyscape" images. Only place copyright notices on content that is your own. Certain types of articles (e.g., photo galleries containing unoriginal photos, ingredient lists, aggregation lists, etc) are not copyrightable. Placing a fraudulent copyright notice is a criminal offense. Including a copyright notice may act as a deterrent to infringers, but a notice in and of itself is not enough to take a copyright issue to court. Instead, the U.S. Copyright Office advises individuals to register their copyright and pay a fee for each work. By starting a new Text Capsule, HubPages will automatically use a Heading 2 format as your subtitle. In most cases, you won't need to use the formatting options if you break your article up into multiple Text Capsules. Text that is excessively stylized can be distracting to readers and runs counter to the goal of providing emphasis. If random words and phrases in your article are bolded, readers won't be able to identify the critical points. Only bold words and phrases that are essential to emphasize. Italics should be used for books, computer and video games, movies, and television shows but not to provide emphasis. While all articles don't need to follow these guidelines, articles that do adhere to these principles are more likely to pass our Quality Assessment Process. To improve your chances of success, articles should be well written, unique, valuable, engaging and stand out from the rest of the content on the web. Good luck and happy Hubbing!